Please feel free to drop me a line, even if it's just to say hello! 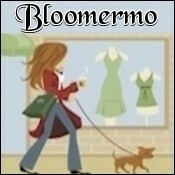 bloomermo doesn't have any items in their booth! Nancy is someone I totally RESPECT because she’s a real sweetheart and you can’t beat that! You will LOvE knowing her. I did, I dO! This is a seller-buyer MONTROSE simply adores to no end without any reservations of her character. ANY member within this Community would be so delighted to be part of the Bloomermo Team mainly because Nancy is a WINNER in all areas of eCommerce while on the BONZ scene! Bloom is one of the best members I’ve met here on Bonanza! Always helpful, always great deals! As a customer or a seller, could not ask for a better person to do business with! Remarkable Lady, Seller, & Buyer!!! Having been on the Ranch for more than a year now, I feel safe in saying that this is one of the Bestest people you will meet! She always gives more of herself than she ever asks for in return!!! One day, I could only hope to meet this wonderful person face-to-face!!! To her, I am so grateful! She is always here when we are in need! Thank you Nancy for all you do for the Bonanza Community!!! Your efforts have not gone unnoticed! Hugs my friend! I have been doing business with nancy for over a year now, so I do think I know her pretty well. I have had several occassions on buying and selling with her. If any one here deserves a very special thanks for all of her endevors, it would be Nancy.She has given so much of herself to us, her fellow Bonanzlers than people realize. Nancy is one of the very first people I met when I landed at the The Ranch and I can tell you not only is she a True Professional Seller & Buyer in every since of the word..she is one of the SWEETEST ladies I have EVER met and has been there for us at any moment..I am GRATEFUL for Nancy! You Are The Best Nancy! Nancy is a great asset for Bonanzle and her customers, Buyers and Sellers. My experience with her is as a caring thoughtful person whom I hope to deal with again. Nancy is a great person! She helped me out a lot and she was my first SALE here. Hope to be friends for a long,long, time. Great seller/buyer and fun person to work with. I highly recommend her and am happy to call her my friend. I was so blessed to find a sweet new friend on Bonanzle! Nancy is the best! I feel like I have known Nancy for years! Very professional, kind hearted and fun to have a conversation with. Nancy is just too precious!!! Please check her booth out. You will not be disappointed!!! Bloomermo is first class as a person and as a seller. What a joy to know and work with. First class all the way. It’s uncanny how many things Nancy and I have in common. She’s one great person and one great Bonanzler! Plus being from the Show-Me State is an extra plus! Anyone dropping POSiTiVE energy my waY = definitely deserves my individual PERS0NAL eND0RSEMENT ~ Please take a moment to visit members’ (bloomermo) b00tH next…MONTR0Se approves this message! Nancy is a great asset to bonanzle. She goes the extra mile to get your order right and has great prices and reasonable shipping. Super sweet and awesome! Many blessings. Great person, helpful, friendly and cooperative. Bonanzle is lucky to have her as part of the community. This lady is one of the rare jewels of Bonanzle! Totaly awesome. Not only do they have a wonderful booth with a great variety of items to offer, but after doing business with them I have found them to be very fast with payments and with the feedback portion of the sale. Hope to do business with them again real soon. From all of us at The Parish Family Booth Wishing you many sales. Nancy is a great person! Very understanding and a great teacher of Bonanzle ways! I highly recommend her and the items she sells. She is very honest and she will communicate promptly with you. She is a great asset to Bonanzle. I have done business with Nancy prior to our coming to Bonanzle. She is very professional and her customer service is excellent. I highly recommend her and the items she sells. Always just as described, quickly shipped and packaged well. You won’t go wrong with this seller.